Why Breathable? Our patented Breathable Mesh Crib Liner is safer than traditional bumpers. Made with our signature A.C.T. 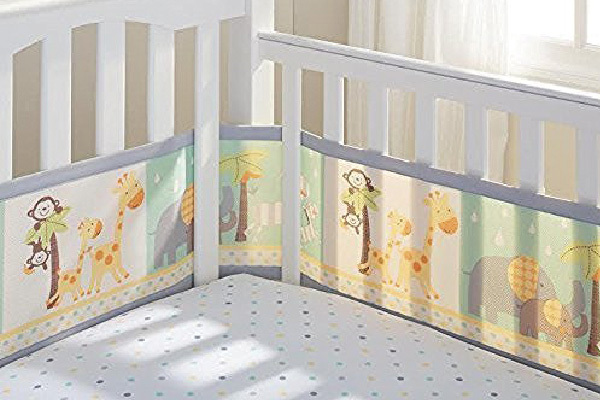 Air Channel Technology fabric to maximize air flow, reduce the risk of suffocation, re-breathing carbon dioxide and getting arms and legs stuck in crib slats. 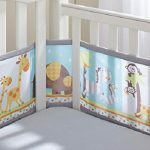 Designed for comfort and safety, featuring our No-Gap-Wrap style that covers all-4-sides of the crib for more protection. •Exclusive A.C.T Air Channel Technology fabric to maximize air flow. 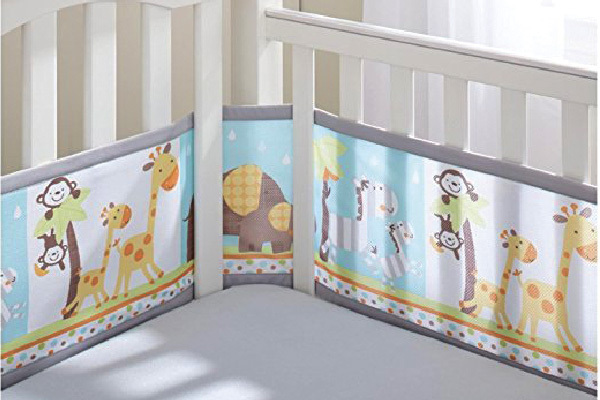 •Reduces the risk of suffocation, re-breathing carbon dioxide and getting arms and legs stuck in crib slats. •Cushiony mesh helps protect baby from bumps and bruises while ensuring complete air flow. 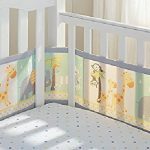 •No-Gap-Wrap style covers all 4-sides of the crib.